Gartner storage analyst Dave Russell noted that his team’s annual report has some changes from the previous few editions. It no longer covers integrated backup appliances, instead returning to its roots as a pure software discussion. Only one company, FalconStor, is dropped after being part of the 2015 report. That is because FalonStor refocused on its own storage products and stopped selling backup software separately. There are no new companies listed in the report, not counting Veritas Technologies, which was formerly part of Symantec. Commvault ranked first for completeness of its vision and its ability to execute that vision. That company’s products cover just about every major backup software feature throughout the widest selection of storage hardware arrays, Gartner stated. However, there’s a steep curve for installation/training, and Commvault’s sales channels outside the United States are not top-tier. 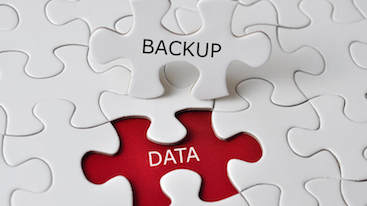 Everyone knows about EMC, IBM, and Veritas, which fill out the rest of Gartner’s top category for backup software; that tier also includes lesser-known Veeam, which formed in 2006. “Veeam has jumped up to be the fifth-largest backup vendor, according to Gartner market share. Veeam now takes in more backup revenue than [Hewlett-Packard Enterprise], although in early 2016 HPE acquired a virtual machine backup vendor (Trilead) to in part compete better with Veeam. Curiously, Veeam is #5 in terms of market share, and Veeam is also the fifth-most mentioned backup vendor in Gartner end user inquires,” Russell said. Russell added that enterprise storage customers are changing and so backup software providers must be ready to adapt. For example, his team expects that by 2020 more than 40% of organizations will supplant long-term backup with archiving systems, double the amount that did so last year, and that by 2018 more than 50% of organizations consider purchasing from vendors that formed less than five years ago, up from less than 30% today.